SEPA Direct Debit, the best way to secure your customer payments. 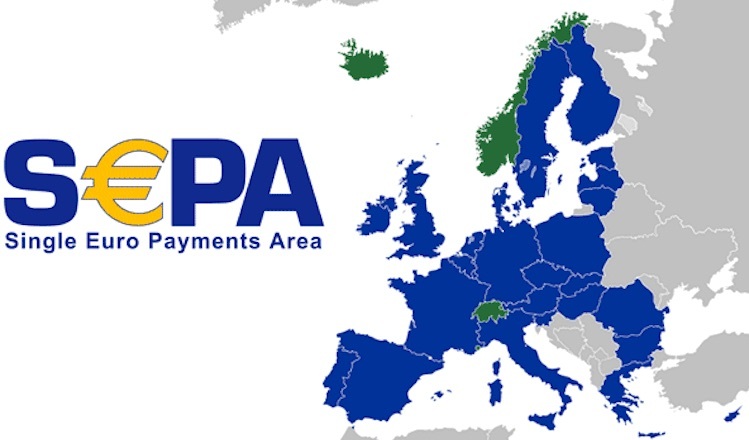 In Europe, it is now possible for companies to use SEPA Direct Debit, a direct debit system that allows them to receive payments from European member countries. Enabling better cash flow management and avoiding multiple collections, the SEPA Direct Debit offers a lot of benefits to the company using it, but also to the customer who has accepted it. But what is Sepa Direct Debit? SEPA Direct Debit (or SDD) is in fact a means of automatic payment that is used for settlement of one-off or recurring invoices. It can be practiced for example if a customer asks for an average payment plan: it is much safer for the creditor to request a SEPA direct debit to be sure to recover the entire debt. The Sepa Direct Debit is only possible if the customer authorizes his creditor to use it. The advantage is that it works from bank to bank, and there is no amount limitation: you can use the Sepa Direct Debit for an invoice of 10 euros just like an invoice of several thousand euros. Where does the SEPA Direct Debit come from? Before the SEPA standard was imposed, payments between companies in different European countries were rather tedious. Due to differences in the various banking systems, payments often required data and formats, which meant that receiving a payment from abroad was time-consuming and costly. During the Lisbon European Summit in March 2000, one of the wishes was to make Europe one of the most competitive economies in the world. This target was to be achieved by 2010. Many laws were then amended to harmonize the legislation for both euro and non-euro payments. And now, since 1st August 2014, all payments made in Euros in member countries of the Eurozone must now be collected by the SEPA direct debit system. The different types of Sepa Direct Debit. First, there is the best-known scheme, Business to Customer (also known as B2C or Core), which applies to creditors whose debtors may be consumers, but also professionals. With this type of scheme, it is possible for the debtors to request a refund within 8 weeks after the withdrawal from their account. Then there is another schema: the basic Business to Business (or B2B) schema. It is therefore addressed to creditors whose debtors are only professionals. Here, on the other hand, debtors can not be reimbursed due to a withdrawal from their account, except of course in case of error. Two cases will then apply: either an amicable settlement or a judicial proceeding. Why use the Sepa Direct Debit? The use of SEPA Direct Debit offers a multitude of advantages for both the customer and the supplier, although of course the advantages of using SEPA Direct Debit for the supplier are greater than for the customer. For the customer, the use of the SEPA Direct Debit is advantageous because it allows him to postpone his payment: he validates the authorization of direct debit and the payment takes place later. It optimizes its time, especially if it intends to pay the bill. It thus prevents control at the time of reception and then again at the time of adjustment. It also avoids potential delays in payments, which may result in service interruptions or penalties. How to convince a customer to go to the levy? The method that works best is to offer a discount for a payment by Sepa Direct Debit. Generally, companies offer a rebate of between 2% and 4% to encourage their customers to accept a SEPA direct debit mandate. Losing 4% of your selling price is nothing compared to the benefits and security that the SEPA Direct Debit can offer you. If you do not want to lower your margins, you can also simply propose a longer deadline for SEPA direct debits. Change from 30 days, to 30 days end of month, giving instead rather 45 days. You can also define that it is your only means of payment. This is the case of some telecom operators. You can also offer an extra cost of administration fees for other means of payment. Dunforce also supports you on this important topic. With our platform, if you wish, you can set up a Sepa sampling service. Your invoices are sent to your customers and at maturity, the levy is set up and debited directly from your client’s account to be paid on your own. We manage the entire chain, you do not have anything to grab on each invoice.